WASHINGTON – The U.S. Department of Transportation’s Federal Highway Administration (FHWA) and Federal Transit Administration (FTA) jointly announced the Roanoke Valley-Alleghany Regional Commission (RVARC) as one of this year’s eight Transportation Planning Excellence Award (TPEA) recipients. 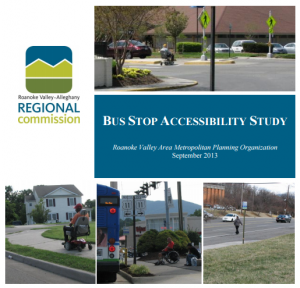 The RVARC’s “Bus Stop Accessibility Study” was recognized as a national example of addressing the link between pedestrian and transit, and developing new ways to determine, evaluate and compare bus stop activity. It used survey data to identify the most active bus stops and those with the greatest number of mobility impaired riders. The study’s results led to more accessible bus stops with better overall system efficiency. Selected by an independent panel, the awards are a biennial recognition by the FHWA and FTA of outstanding transportation planning practices performed by planners and decision makers in communities across the country. This year, eight winners were selected of 35 TPEA submissions from around the nation. Criteria for selection included: community, public involvement and partnerships; context sensitive solutions; innovation and effectiveness; equity; implementation and strategy; multi-modalism; and potential for long-term benefits. How does economic development relate to transportation infrastructure? Investments in transportation infrastructure may, on the other hand, help us become more economically efficient by allowing private sector businesses to reduce inventories, use just-In-time manufacturing approaches and better leverage logistics and supply chain efficiencies. Expanding public transit can also expand the labor pool for businesses by allowing people to get to work at an industrial park that was previously inaccessible by transit. Future automated and self-driving technologies, both passenger and freight, may have a big impact on improving economic efficiency. Along these lines, we can think of improvements in the transportation of information (i.e. broadband) as having a beneficial and complementary role to investments in physical transportation infrastructure. Economic Growth – is also necessary but not sufficient. Growth can come at the expense of quality of life or even economic improvement. It can be the result of everybody working longer hours and not having time for family or other pursuits. If inflation isn’t taken into account, growth can simply be the result of inflation without any real increase in goods or services. Like economic efficiency, real “inflation adjusted” economic growth can provide us the fuel we need to arrive at economic development. In this regard investments in transportation infrastructure can help us access national and global markets. One example involves pursuing a Small Community Air Service Development Program Grant to access a new air service hub such as Denver of Dallas from the Roanoke-Blacksburg Regional Airport. Another would involve developing a regional intermodal freight center to connect rail with trucks and service increased container shipments through the soon-to-be expanded Panama Canal to the Port of Virginia. This would allow us to take advantage of our geographic comparative advantages, which is a fancy way of saying further leveraging our strengths. 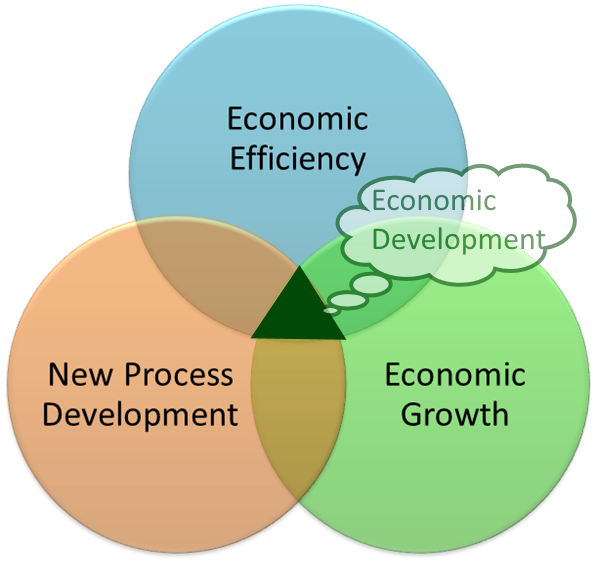 New Process, Technology or Business Model Development – This is the “development” part of economic development, the secret sauce. This is where a new way of doing business or a new technology helps us become more productive. We develop new “strengths,” new comparative advantages and new industry clusters. This is often where standards of living improve. So how can transportation infrastructure help us with the “development” component of economic development? One idea is to promote the region as an urban test bed to test market new technologies such as automated vehicle systems. This would allow us to develop industry clusters around the new technologies and add new skills and strengths to a diverse regional economy. We already have the Smart Road down at the Virginia Tech Transportation Institute (VTTI). Why not extend that technology development cycle to position the Roanoke Valley as the live test bed for the next generation of transportation technologies? This entry was posted in Transportation and tagged Transportation, Economic Development, Transportation Planning, economic efficiency, economic growth, technology development on July 13, 2015 by admin. This is the second article in a series of posts concerning Urban Development Areas (UDA) as it relates to transportation and the HB2 project prioritization process. The HB2 process, enacted in 2014 by the Virginia General Assembly, creates a new framework for the way in which the Commonwealth Transportation Board selects and prioritizes projects. As was explained in the previous article, the Virginia Multimodal Transportation Plan or VTrans2040, has an initial screening process for potential HB2 projects. One of these three “screens”, as it were, is a UDA. The important takeaway here is that if the project does not serve a Corridor of Statewide Significance (CoSS) or Regional Network, a UDA or UDA-like district must be served by a proposed project. Many localities’ comprehensive plans have Village Center, Traditional Neighborhood Development, or Mixed-Use districts which are typically considered UDA-like. Metropolitan Planning Organizations (MPO) and Planning District Commissions (PDC) throughout the Commonwealth have several opportunities to provide technical assistance to their member localities seeking UDA or UDA-Like designations. Assist with public participation processes, and other tasks. The OIPI assistance is available through an application and award process with a deadline of August 31, 2015. This assistance is open to Virginia communities of all sizes. More information can be found on the OIPI website. Two of the localities served by the Roanoke Valley Transportation Planning Organization (RVTPO), Botetourt and Roanoke Counties, went through comprehensive plan processes to include either UDAs or high growth areas in their respective Future Land Use Maps. 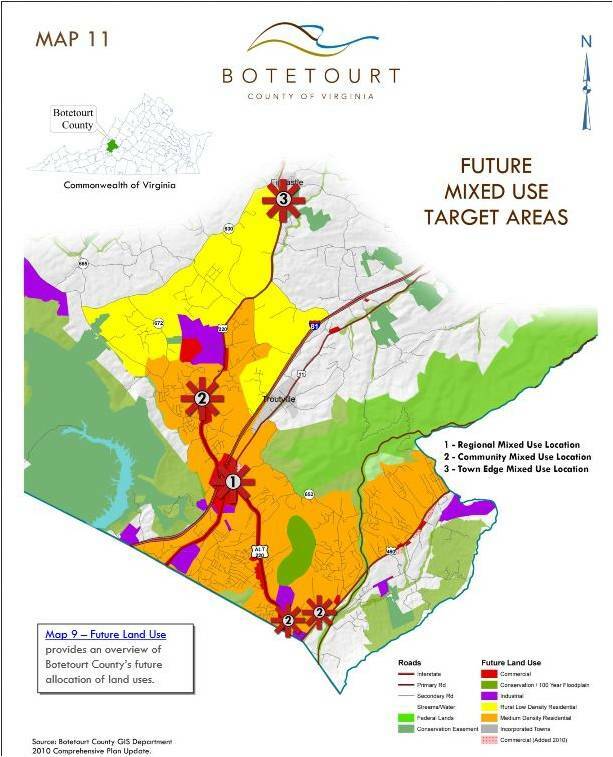 In Botetourt County’s 2011 Comprehensive Plan update, mixed-use target areas were identified on the Future Land Use Map along with references to the 2007 UDA legislation. Further, the County defined mixed use/village centers and provided design guidelines with the intent of coordinating land use and transportation. Roanoke County identified village and mixed use centers on their Future Land Use Map and defined them in the comprehensive plan. The governing body ultimately did not approve the UDAs, however the framework is virtually in place in the County’s Comp Plan. The City of Salem, is currently underway with its OIPI-awarded technical assistance grant, and is on the way to UDA designation. RVTPO staff will be working with them in FY16 on phase II of the Salem Downtown Plan and provide applicable UDA technical assistance. 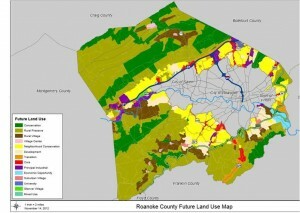 Roanoke County will most likely pursue UDA-Like designated growth areas. Staff will coordinate with Roanoke County as they develop language for the Planning Commission and Board of Supervisors. The City of Roanoke’s Planning Commission met in June to recommend to Council the development of the city as a UDA. Staff will review any final proposal from the City for compliance with the Code of Virginia. Botetourt County will have comprehensive plan amendments going to public hearing in September and RVTPO and County staff will collaborate to develop the appropriate language and mapping. There are several ways for MPO staffs to provide technical assistance and not feel as if they are taking a backseat. MPOs and PDCs can initiate conversations with their localities to provide UDA technical assistance. The RVTPO is doing this through general technical assistance and specific projects in its Unified Planning Work Program. Be in the loop—MPO staff can perform specific tasks in connection with or separate from on-call consultants. The RVTPO is doing this with the City of Salem who was awarded a technical assistance grant. Work with localities to develop future growth areas or UDAs in a smart an organized fashion, not just as a means to a “transportation end”. If a locality’s project does not serve a CoSS or regional network, it will not be considered a qualified project under HB2. If not submitted by October 1, 2015, localities will have to wait until the next year’s cycle to apply, provided they have received approval from OIPI in the year since. This entry was posted in Transportation on July 1, 2015 by Bryan Hill.